I am Teresa from Rogue River, OR. About four weeks after starting the hypnosis sessions, I began to notice I wasn’t smoking as much. Now that I have completely quit, my friends and family are amazed and happy for me. I am feeling so much more relaxed and less anxious and I realize I can relax and just stop. HTI is very professional, personable and I don’t believe I could have succeeded without their great support. The sessions were very calming. I looked forward to my visits and I was sorry when they ended. I encourage anyone considering hypnosis to do it. It is very interesting and worth the time. My name is Charles. I live in Ashland Oregon and I am a contractor. I came to the Hypnosis Technology Institute to reduce my blood pressure without medication. I tried medication, diet, and exercise, and experienced little success. I decided to try hypnosis as a last resort solution. The success has been outstanding. My attitude towards my health and well being and “myself” has been overwhelming. I now give myself time to exercise. I eat and drink a much better healthier diet and I generally feel a lot better. I now sleep much better at night and I enjoy life to the fullest. I can now walk and/or jog 4 to 6 miles 2 to 3 times a week and I’m pursuing a healthier lifestyle. I find that I’m, actually less concerned about some of the more materialistic aspects of life. I began noticing changes after the 2nd week of treatment and others began noticing the changes about the 3rd or 4th week. My family was very impressed and pleased. My changes have had a positive affect on the lives of others as well. I am able to interact with others in a better way. I am more positive and seem happier. I would say that I’ve experienced a dramatic improvement in general well being and outlook. The services at the Hypnosis Technology Institute were excellent and I highly recommend them. My name is Shirley and I’m a 66-year-old housewife and I live in White City Oregon. My goal in coming to the Hypnosis Technology Institute was to lose about 50 pounds. I had carried the extra weight on my body most my life. I tried Weight Watchers, diet foods, pills, Weight Dr., and other diets. In some cases I was able to lose weight but I always gained it back. So I called to go in to the Hypnosis Technology Institute. I lost a total of 46.2 pounds, reduced my body fat by 7.5 percent, and shed a total of 39.5 inches from my body. I started really noticing changes after a couple of months. My family also noticed the changes and they love it. I feel good about myself again. I got very good support at HTI. The most important benefit for me is that I learned to eat differently and I’m pretty confident my changes are permanent. My name is Doug. I live in Medford and my occupation is truck driver. I came to the Hypnosis Technology Institute because of my inability to sleep peacefully and to put some of my personal problems behind me. The marital turmoil in my life had been going on for years and I just went through a terrible divorce. My dignity, confidence, and sense of worth were all severely damaged. I tried to get some relief through some Christian counseling. The counseling I received at my church didn’t seem to help much. I read about hypnosis and it seemed like it could be a solution so I decided to give it a try. I began to see changes a little at a time. Now I seem to sleep better at night, and I have been able to put a bitter long-term marriage behind me. I made it through a haunting divorce and while I was going through treatment I also had to go through a major shoulder surgery that put me out of work and out of commission for a while. I recovered nicely both physically and mentally and now with the help of the HTI treatment I’m able to move forward in my life with a positive attitude and a new me. There have been positive aspects in my life since starting the HTI program. It has been a good and rewarding experience for me and has changed my life for the better. I’m confident my change is permanent. I found the staff at HTI to be very professional and caring and I highly recommend their services to you. My name is Nancy. For the past 20 years I have been living with a substance abuse issue. I tried many methods to quit and no results. I signed up at the Hypnosis Therapy Institute and after 3 sessions I “got it.” My experience was a letting go. I felt an inner peace that was spiritual with a real realization more than a deep message. I knew this was going to work. I felt a sense of well-being. I was OK. I have an inner power, a lamp that needs to shine and let others SEE that light. After 3 sessions, my husband and my daughter saw that light. I am so grateful toHTI for their hard work in helping me to heal. My name is Tim. I heard a commercial and decided to call because I have had trouble with concentration and learning for 10 years. I had tried tutoring but that didn’t help for long. After the first three weeks I was able to clear my mind and get rid of the clutter that had built up throughout the day. Now I am able to study better for tests and complete my homework with ease. My name is Robin, I would like to take this opportunity to recommend the Hypnosis Technology Institute to anyone who is in sales and would like to dramatically advance their career as well as improve their life. When I began my hypnosis program my goal was to simply increase my sales ability. I had heard about changes people were making with hypnosis and my curiosity got the best of me. I began my hypnosis sessions and within a week and a half I began noticing that I suddenly had a greater drive to excel, increased confidence, and what was most surprising was an increased boldness making calls to new prospects. Most importantly I found that I was much more relaxed when I was off the job. Others around me began to notice the changes as well. I had been in sales for many years and during those years I tried many self-improvement techniques including books and seminars on the subject. The result was always a short-lived period of motivation. I absolutely know that this time the changes in my life are permanent. I’m much more effective when I work and the result is I have more freedom. The single most important benefit I’ve gotten from my hypnosis program is more confidence. I feel great! 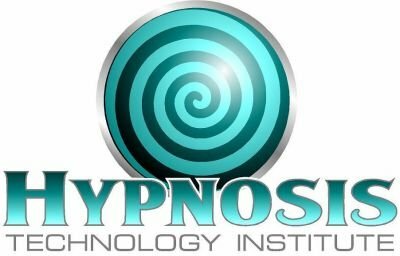 I would have to say that the quality of services and personal support I received from the Hypnosis Technology Institute was beyond my expectation, it was excellent. I highly recommend their programs and services.